Happy World Cardmaking Day fellow paper crafters and welcome to the Whimsy Stamps blog hop celebrating our favorite hobby! I stamped the overly-happy (is there such a thing?!) little dog from Caution Dog Slobber onto watercolor paper and used distress inks to watercolor him/her??? Then I hand cut him/her out. I stamped the paws with a pink ink just here and there. I love when dogs (and cats) have pink paws, I just love paws in general. I added a little pastel chalk below the dog for a shadow and then applied him/her (which do you think it is?) with foam tape for added dimension. 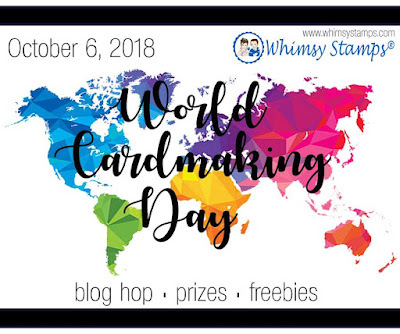 I hope you are always smiling and that you enjoy the rest of the Whimsy Stamps World Cardmaking Day Blog Celebration! 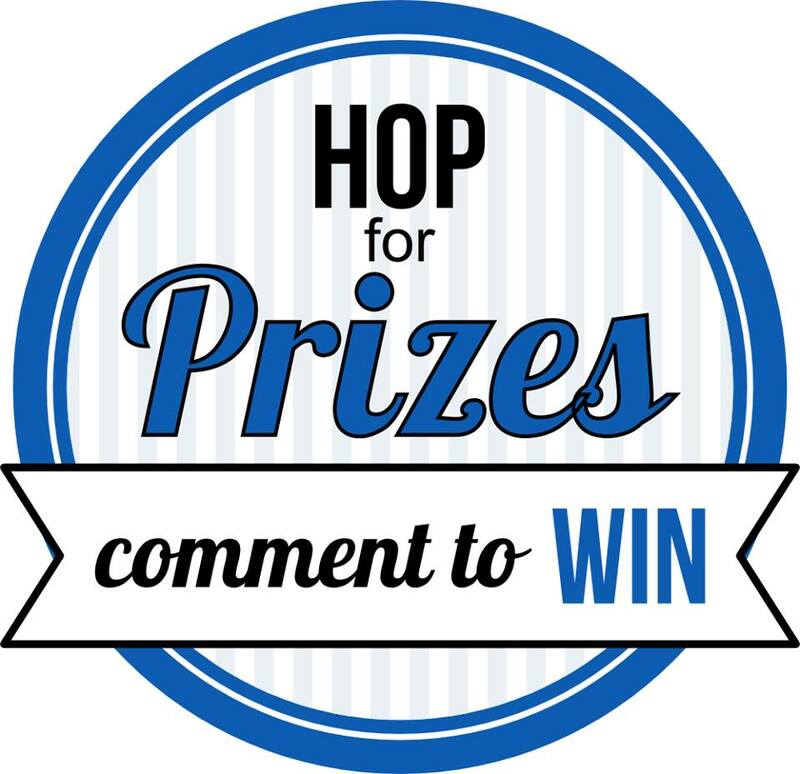 Click on the word bubble at the very bottom of this post and leave a comment. 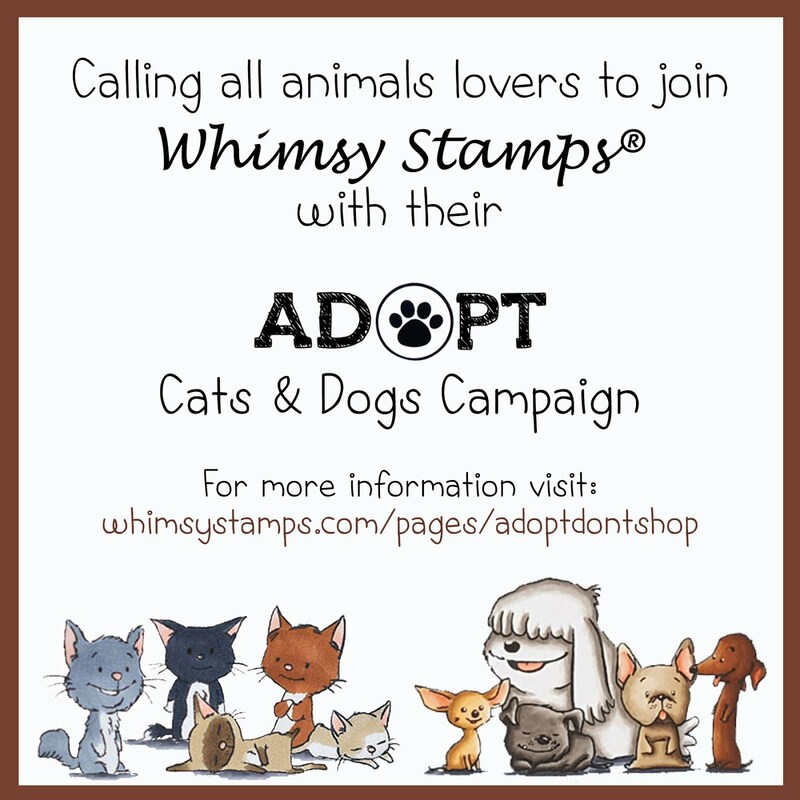 Then see the list of other Whimsy Stamps design team blogs to continue hopping along :)! 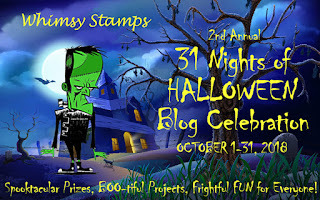 31 Nights of Halloween blog celebration with loads of prizes and Halloween FUN throughout the entire month! What a great card! 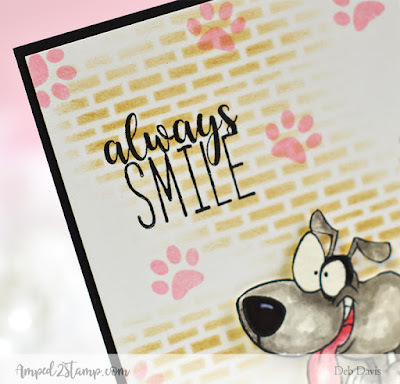 The sentiment so matches a dog! 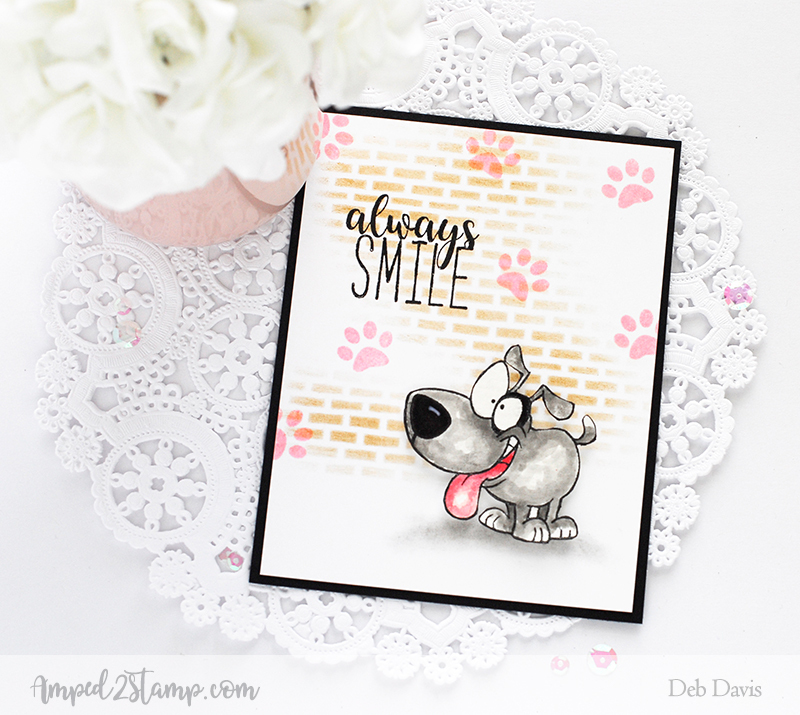 Darling little pup, Deb, and I love the brick wall background! 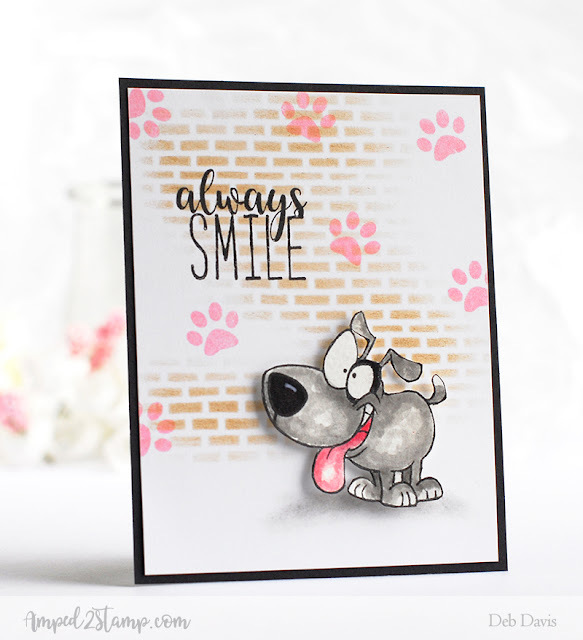 What a fun goofy puppy dog image, who can't Smile seeing it! Love your card!! How could you not smile looking at this cute little dog. Love the brick background and paw prints to go with your card, perfect! That puppy is just too cute! LOVELY card!! This card made me chuckle! That dog is so adorable and hilarious at the same time! I am also major loving your brick background too! 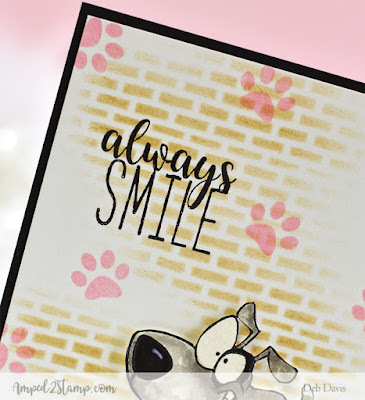 Your cute card made me smile! Love the bricks! So cute paired with the cute little dog! 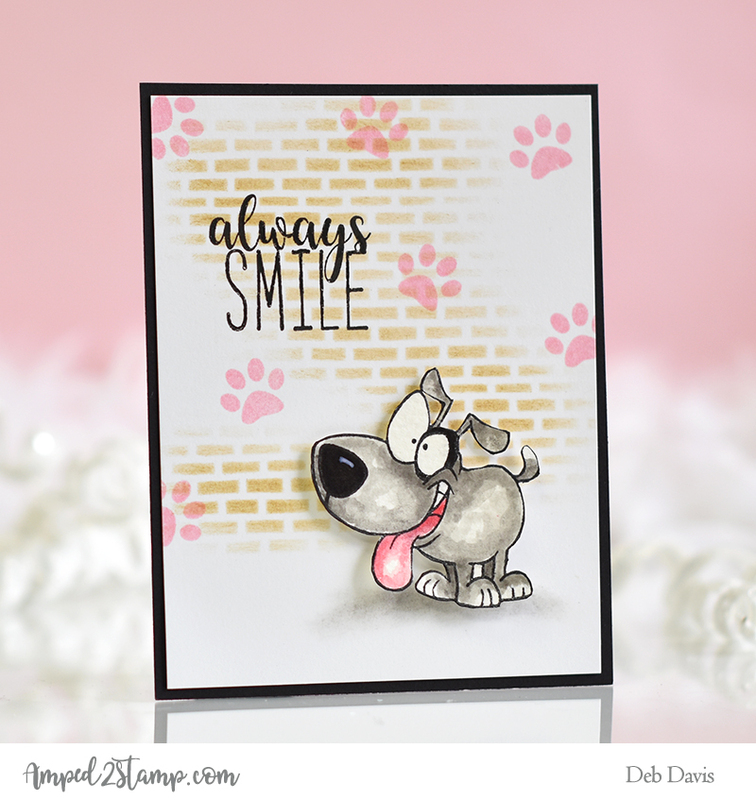 Awesome I love how you did the stenciled background, works perfectly and the paw prints, great job on it, love it!! Love everything about this card! It’s awesome. Fabulous card, really loving that background! I love that card! Thanks for the inspiration! Beautiful card. Really you made me smile with this image. 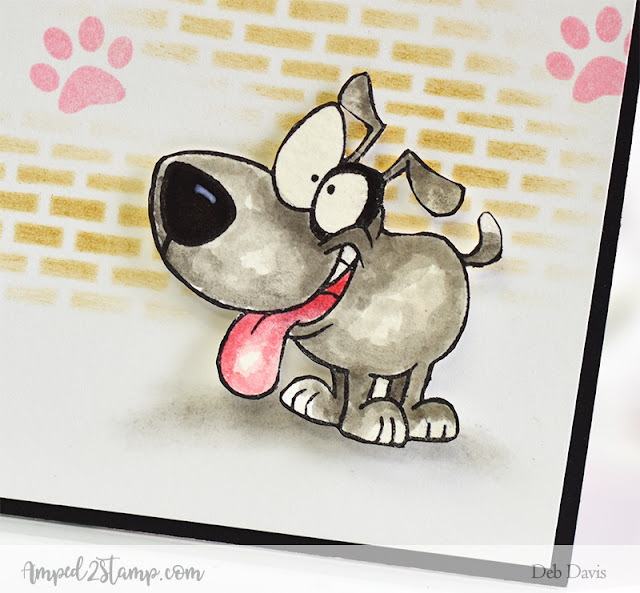 Your doggie card is so adorable! I think it is a she:). Love it!! This puppy looks like he's ready to slobber! Love the brick background. Love that cute pup! Fun card! How Cute! I have a granddaughter who would just love this card. Thanks for sharing. 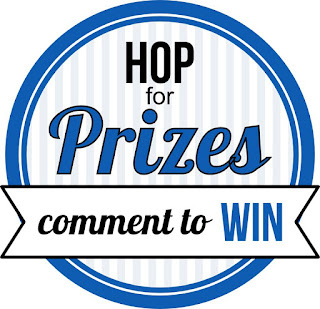 THANKS for all the nice comments everyone, they really mean a lot to me! Such a fun image and wonderful card.